Hemophilia is a serious disease -- blood won't clot, huge risk of internal bleeding, big need for blood transfusions. And these transfusions placed those with this rare, single gene disorder in the original AIDS 4-H club (Haitians, Homosexuals, Heroin users and Hemophiliacs). In HIV-infected subjects with haemophilia, CD4 counts seem to fall more slowly in those on high-purity factor VIII (FVIII) than on intermediate-purity product. We evaluated whether risks for AIDS or death were associated with either product among 411 HIV-infected individuals. The relative hazard of AIDS was slightly elevated for both current (1.34) [corrected] and cumulative (1.01 per month) use of high-purity products (neither significant). The corresponding hazards for death were 1.49 and 1.03 (neither significant). Thus we found no evidence that high-purity FVIII concentrates retard the development of AIDS. All well and good. But take a close look at the key table from this paper. It seems that some of these hemophiliacs were also being "medicated" with the chain-terminating nucleoside analog and failed cancer drug, AZT. And wouldn't you know, the risk of hemophiliacs on AZT developing AIDS was 4.5-fold elevated, and they were more than twice as likely to die. How ya like them poisoned apples! This is, by far, the most important variable in the multi-authored "parametric model". But science is self-correcting, even if the wheels of the mill of truth grind exceedingly slow but fine (or something like that). Shortly after the discordant entry was called to my attention by our good friend doc Bialy (whose slide is linked above), we alerted the highly esteemed, very British editors of the Lancet to this minor anomaly, and the clear demonstration of the extreme toxicity of AZT. Perhaps in line with a trend started by the honest publication in August of some very provocative (to put it mildly) results of newer "antiretroviral therapy", they agreed to print an erratum in the very first issue with the beautiful, redesigned cover we sent them (and which is reproduced below), and to elevate the important, but previously overlooked, major conclusion of the Godert study to its proper place in a suitably retitled article: Risks of Immunodeficiency, AIDS and Death Related to AZT Intoxication. Although this may come a little late for the thousands of hemophiliacs who had their lives shortened by AZT, we think the editors still deserve a "Bravo" on the strength of what all our grandmother's told us about better late than never being almost, always true. So, Bravo, guys and gals, but in the future try and get it right the first time OK? It has come to our attention through various means that Dean Esmay was not alone in "almost falling for it". In fact, many actually fell, head first and with no safety net! We know it would have avoided all this misunderstanding (sic) if the title of the piece had been "Lancet Needs to Publish a Long Overdue Erratum", but honestly would it have packed even a fraction of the "punch" ? "In 1989 or 1990 the New England Journal of Medicine published findings that compared AIDS patients given 1200mg of AZT compared with those given 600mg AZT. Their findings? People with the higher dose had twice the mortality." Do some of you knuckleheads understand that the more AZT one takes, the sicker one gets? Since AZT is garden variety cancer chemo, why would anyone but a propagandist for Big Pharma be surprised by this? Y'all should listen to Mr. Berkowitz. He was there in the thick of it in NY, when AZT was unleashed on a frightened populace. Very tragic. "Subjects who had started [AZT] had an increased risk of AIDS, probably because [AZT] was administered first to those whom clinicians considered to be at highest risk. " p.s. AZT is dangerous stuff. It screws with your DNA. Best to be avoided. Should not have been given to hemophiliacs. Hrrm. I assume this is satire, and that the Lancet actually has no plans to publish an acknowledgement of this erratum? The horrendous mistake by the authors, editors, referees and countless readers over the years is not satirical, nor the least bit humorous. And I would dearly love to know how many *real* letters the eds got over the years, and what became of them because I cannot believe Bialy, me, Duesberg, Mullis, Strohman, Lang, Charlie Thomas, etc. were the only ones to see what this paper actually reported, if did not say! Let me clarify what I wrote above just a bit. Although the editors, referees and unknown number of readers may have been mistaken in the sense of careless and inattentive, the same grace cannot be given to the authors, who are culpable way beyond inexpertly massaging a paper so that it correctly (sic) reported the dissembling, disingenuous conclusions they wished. Considering this is a medical and not a biochemical journal, I really have no words to properly describe the contempt in which I hold these pseduo-scientists and criminals. Although this is one of the more egregious errors in the scientific literature that I have learned about over the 50+ years I have been a biomedical professional, it is relatively common for scientists "to fudge, massage or cook" their data when it is readied for publication. 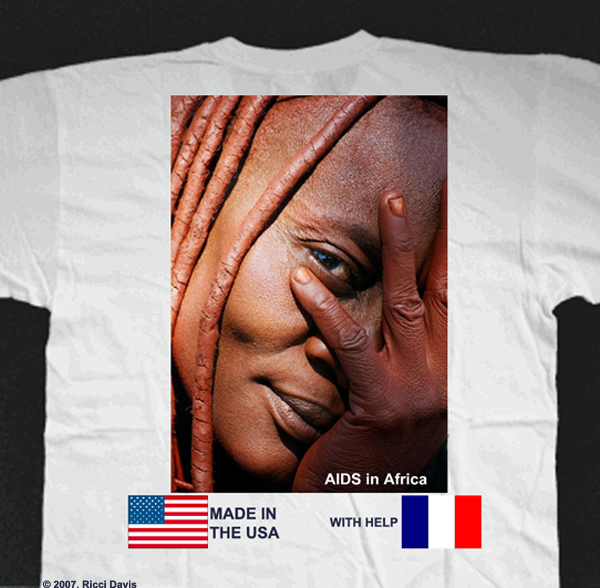 The HIV/AIDS, vast and contradictory, paper trails are especially rife with such. "Duesberg's Pharmacology & Therapeutics monograph with hyperlinked references (You must open this pdf document directly, not just save it to your computer.)" It will open you eyes "more than somewhat" as my dearest Damon Runyon might have put it. "Richard Hendlowitch, the best friend I ever had, died July 4, 1993 from what was then known as AZT-related, or AZT-induced lymphoma. I had Mike Callen, a hero to Rich, call and beg him not to go on AZT. But the peer pressure in the gay communitywas overwhelming. In less than a year, he was dead at 38 years old. Posted by: Richard Berkowitz | September 13, 2006 at 09:06 AM"
In my turn-by-turn, systematic yet parsimonous tour of the blogs, I came upon the quote below not very long ago. The poster is, I believe, a well known AIDS activist who is rumored* to be employed by the pharmaceutical companies on whose behalf he activates. I have enboldened the quite remarkable defense he posits there, although not personally, here. Perhaps he is not the author. If so, he can publish that correction at any time, most anywhere. The Goedert paper doesn't contain an error, you're just muddying correlation and causation in this instance because it serves your purposes to do so. ... if you want to make an accurate claim, get the sales data from IMS. One more sad thought for a sad day. There was a time, and I can remember it well, when university professors were paid to think and educate, and production was measured (if it was measured at all) by the quality of the publications you produced. Today everything is measured, and the units are given in the most common of denominators - dollars - as Mr. Jeffreys so undeniable affirms. Hi there George, on what basis are you stating that I am "employed by the pharmaceutical companies"? Digoxin use significantly predicted greater mortality following cardiac arrest (hazard ratio 4.5), do you think that means that digoxin is dangerous and should not be used? "The Goedert paper doesn't contain an error, you're just muddying correlation and causation in this instance because it serves your purposes to do so. The FDA reduced the recommended dose of AZT at the beginning of 1990 (might have been the end of 89 actually). The oft-repeated claim that 300,000 people took high-dose AZT is farcical, if you want to make an accurate claim, get the sales data from IMS." I will write to you one time, and one time only, and I do hope that Mr. Barnes will closely monitor this thread from this point forward to avoid it becoming a pedantic "discussion" (sic) down garden paths of Mr. Jeffreys' choosing. The authors of this magnificent paper were perfectly content to conclude that small hazard ratios had very definite implications, and that they were not engaged in confusing correlation with causation anymore than they had ever confused the two with respect to the pathogenic potential of their favorite 9kb of barely infectious RNA, which is also the foundation of their bread and butter (and your) hypothesis. I expect you to write something in response to this, but once again I implore Mr. Barnes to swiftly remove any additional comments that might be generated, if and only if they respond to something other than a focused discussion of whether these authors, editors and referees even came close to doing what one minimally expects. George, what evidence do you have that I am "employed by the pharmaceutical companies"? I learned a few things. 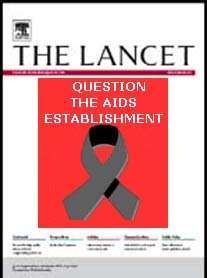 First only the last ten years of Lancet are online. Therefore I could not get the paper (the library is at the old campus and too much of a drag). Second, I agree that the numbers in the table are startling and absolutely required at least discussion - fault authors and reviewers big time if there was indeed no attempt to address them. Before concluding that AZT killed those people, I would want to know more about who was and was not on AZT - e.g., were only people with low cell counts put on AZT, etc. I find myself much discouraged by the state of the World and having to listen to Bush's claims that if we don't win in the streets of Baghdad we'll have to "fight them on the beaches and ..." The chutzpah of that little putz to cast himself as the Churchill of the 21st C. It's clear that the lessons of History must be learned, but you have to know which lessons apply, and as with everything else, he's got it wrong again. But then of course "they" don't really believe any of that (or could they actually believe it??) they just have to apply Milligan's Law (Spike, that is): "You can fool some of the people all of the time, and all of the people some of the time, and that's just long enuf to be elected President of the United States." I assure you that some of "they" believe it since I'm one of "they." Irrelevant politics aside: I happen to know that Duesberg wrote to the Lancet and the study's authors and asked them to explain this chart--and he simply received no reply. Not surprising when you look at the sordid history of HIV research. Not only did Prof. Duesberg write to Dr. Goedert, but a number of others did also, as I indicated above. None ever received even an acknowledgment from the illustrious fakes or their handlers at the Lancet. But. I have the sense that this internet publication by the fearless Hank the Tank with the Marx Bros. sense of humor is already making some of those concerned wish they had behaved more correctly 12 years ago. Certainly many of Goedert's and the other's colleagues, as well as a goodly number of disinterested, real scientists like Dr. Pato, are now very aware of something they had been totally oblivious to before. Honestly, how many people who read a paper in the Lancet go through the columns in dull tables line by line with a pencil? In this case, not too many - including the critically important, peer reviewers! Is there any reason to think that people in this study were newly prescribed Factor VIII because they were sick? If not, then you don't need to be concerned about that when interpreting the hazard ratios for Factor VIII. Is there a reason that sicker people might have been prescibed high purity vs. intermediate purity factor VIII? If so, that would need to be considered when interpreting the hazard ratios for the two groups. What's the comparator? In other words, how was the reference hazard ratio of 1 established? When you can tell us what you just wrote has to do with the price of tea in Ubekistan, or even what time it is, you may think about writing something else here. Until then, why don't you find Bluebottle and Truthseeker and form a new chapter of the East Finchley counting angels on the head of a pin society, and leave grown-up discussions to the grown-ups. "Needle Nodddle Nu and Ling Tai Liddle I Po"
The Goedert study was designed to assess the impact of factor VIII purity on progression, and not that of AZT. As such the methodology quite correctly controls for the different independent variables, including AZT use. A study that wished to assess the impact of AZT would have controlled for variables such as duration of infection, CD4 count and clinical stage of disease. For all you know, a study to look for this may have shown AZT to have no effect on mortality, or to even delay progression. This study was not designed to assess this, so jumping to the conclusions you do merely reveals your inability to interpret results from clinical studies. It is quite disingenuous of you to try and finger this study as a dramatic expose of the toxicity of AZT. Is one line in a table from a 1994 publication the best you guys can come up with after 20 years of effort (or 50+, in George's case by his own admission)? Your friend Doc Bialy seems to have been economical with the truth (or I assume it was him since you admit you haven't even read the paper, and are just taking his word for it). Your claim that the increased risks for AIDS and death for those on AZT are "never discussed, or even mentioned anywhere in the text" is demonstrably false. The full text article (it's always a good idea to read and understand this, I find, rather than just relying on "the abstract") specifically states that those started on zidovudine had increased risks for AIDS and death. The explanation given in the discussion is that those started on zidovudine by their clinicians had more advanced disease. This is an entirely reasonable strategy, and as usual when a new drug is available, it is always given to the most ill patients first. I can just see now how you might interpret a paper on the outcome of say viral and bacterial meningitis. The fact that those who died were given antibiotics could only mean one thing in your eyes - that antibiotics are all lethal, and that no-one with meningitis should have them. The true interpretation is that those with the most lethal presentations of bacterial meningitis are the ones who are treated with antibiotics. They also happen to be the group with the highest risk of death, so some will die, despite treatment. And hey, guess what? - those who didn't get antibiotics didn't die! (Just ignore the fact will you that these patients were correctly judged to have viral meningitis by their clinicians, and therefore they witheld treatment). This type of circuitous and totally misleading logic is similarly applied by HIV-dissenters when it comes to patients who are long term nonprogressors with HIV. The reason you say that these people are well (they have never advanced to a stage where they need HAART) is because..........? Answer: Tra-da! They have never had HAART! I am sure you will totally fail to see the irony in your post, coming so soon as it does after Skeptico's attempts to educate you on what logical fallacies really are. Here is something written yesterday from the "logical fallacy" thread you are so fond of. I believe Dr. Knobless makes some of your same points. Did you crib this? As for the "profound discussion" of this result, it is true, I did not read the paper and took doc Bialy's word for the absolutely *no mention*. Evidently there is "some mention" although why you did not quote it directly is a bit surprising, so I will spend time today to examine the paper closely when I get a copy from the library. If in fact you are correct, I will offer this mea culpa. All of the referees are not to be faulted. While your at the library, grab this one, by Goedert, too. Dale discussed both these papers with Dr. Bialy at Dean's World some time ago. Basically, they see HIV+ hemophiliacs dying at 11x the rate of HIV- hemophiliacs. If AZT were responsible for Hemophiliac's deaths, rather than HIV infection, you would expect the numbers to be greater for AZT. They're not. "probably because zidovudine (AZT ed.) was administered first to those whom clinicians considered to be at highest risk"
Your TB analogy is highly intriguing. The reason why nonprogressors don't progress is because they have a less lethal form of HIV. The clinicians recognize this and so decide against hitting hard and early. Good to see Skeptico's logic lessons reached a few receptive minds after all. Please look here to find a concise analysis of the data you refer to. Does the scientific literature support or refute the claims that HIV and not AZT was responsible for the increase in hemophiliac mortality from 1987 or so onwards? But I am very glad it has, and I think I now see a method in Hank's apparent madness: Let me put as much egg on as many faces of the high and mighty as I can, and provoke a public airing of something that should have been fully aired in the scientific journals years ago, in the only free forum left in the world. It seems to be working too. Hank tells me over 1400 people visited this page yesterday, which is greater than 3x his daily average for the past months. The pedantic point about whether the authors even mentioned the result was not, obviously, the real intent of Hank's post. The discussion that began with DT's comment is. But in regard to the pedantic point. I still think that this inadequate one-liner was added to placate the one referee who noticed the aberrant table entry, since it could not simply be edited out at that stage. But really, does it address Dr. Pato's "startle" at these numbers sufficiently? You decide, and after you have, decide (based on all the data) whether giving AZT to hemophiliacs was (and is) a medically sound idea or not. The HIV/AIDS debate is not about pedantry. It is, as everyone on both sides keeps insisting -- all about saving lives. There is an expression, "the exception that proves the rule". You have just produced it. "Subjects who had started zidovudine had an increased risk of AIDS probably because zidovudine (AZT ed.) was administered first to those whom clinicians considered to be at highest risk"
"The explanation given in the discussion is that those started on zidovudine by their clinicians had more advanced disease." The first is totally inadequate as response to a question from a reviewer about this data, and the second is silly since the parameter is going from an antibody postive hemophiliac without clinical AIDS to one with. But I must agree with Dr. Brown, the pedantic point of how conscientious or not the editors and reviewers were is a triffle. Was it a good idea to give the sickest of already sick people (with hemophilia) a failed cancer drug at doses designed to maintain a high serum concentration? Hey now that I am graduated thanks to my hacker roomie guess what I am still like totally confused and now not only about the Murchison meteorite. Isn't this the same thing as what McDonald wrote except TB instead of AIDS and HAART instead of AZT and backwards kind of and wasn't he being ironic I think is the word? "Your TB analogy is highly intriguing. The reason why nonprogressors don't progress is because they have a less lethal form of HIV. The clinicians recognize this and so decide against hitting hard and early." Dr. Knobless I think I need your help I hope you are awake now in Australian because I think the times is different. The only way to independently control for disease stage etc is to do a study that looks at this, and the Goedert study didn't do that. I am also reminded of other study methodologies that have been picked over by the dissidents to try and extract hidden meanings and innapropriate conclusions, but we have heard enough anout "her" study to last me several lifetimes. I am also reminded of other study methodologies that have been picked over by the dissidents to try and extract hidden meanings and innapropriate conclusions, but we have heard enough 'about' "her" study to last me several lifetimes.